With the most extensive diamond line in the industry, Brasseler Canada offers a wide variety of Crown and Bridge diamonds available in DuraBraze®, Peter Brasseler Series™ and BrioPrep™ Diamond Instruments. The market leader in this category, Brasseler Canada's Crown and Bridge diamonds are designed with key opinion leaders and innovations to provide the perfect balance between cutting efficiency, smoothness, and longevity with satisfaction guaranteed. This category also includes a comprehensive line of grits and shapes including: Chamfer, Shoulder, Modified Shoulder, Curretage “K”, Depth Cutters and Specialty. 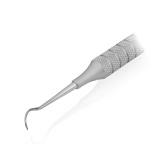 Popular assortments in this category include: Winter Restorative Concepts Series, KS Series, Dialite® and DuraCut™.